Sierra Helicopters is an aboriginal owned Canadian company, operating out of Pitt Meadows, BC..
Sierra Helicopters is please to offer you the very best flight experience. Sierra Helicopters is the proud recipient of the 2017 BC Achievement Foundation's Aboriginal Business of the Year Award. 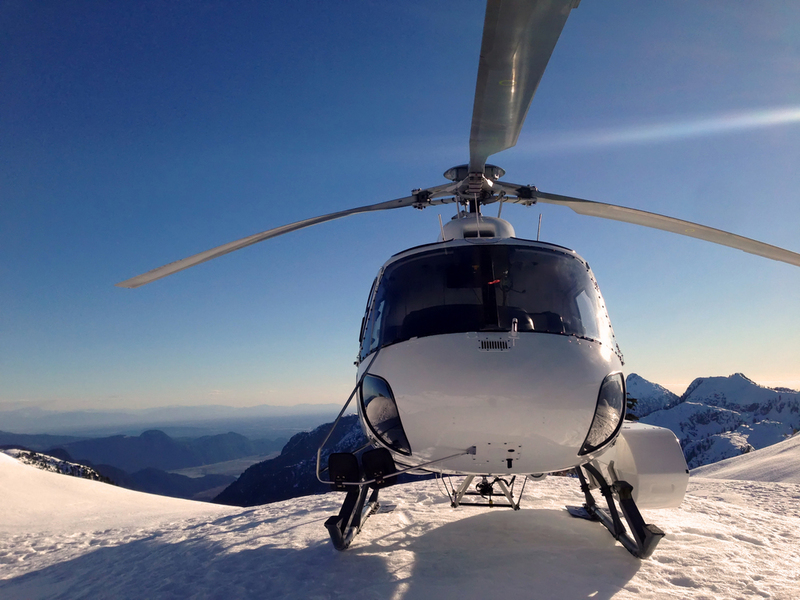 At Sierra Helicopters, we serve the lower mainland and all of B.C. with pride and professionalism. With regular departures from Vancouver International Airport, Vancouver Harbour and Pitt Meadows Regional Airport to the destination of your choice, we are prepared to meet your every requirement. With the most technologically advanced equipment in its class and unsurpassed customer service, we provide our clients with excellent service that is unmatched by our competitors. Our diverse fleet from Bell to Eurocopter can support any industry from tourism, to film, to forestry. We are committed to the health and safety of our customers and our employees, as well as the protection of the environment and our customers assets. We have an impeccable safety record and have implemented a well received safety management system (SMS), which is the basis for our BC Forestry SAFE certification.